Morpheme Remedies Garcinia 9X is an efficacious combination of natural ingredients that support weight management. 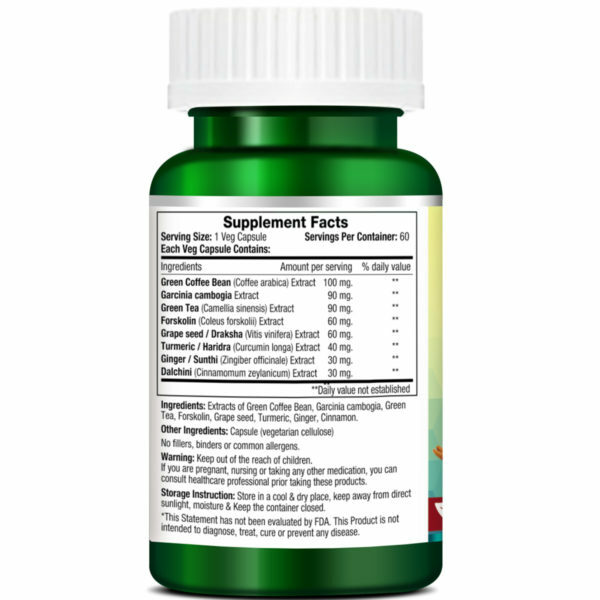 It contains Garcinia cambogia, coffee bean, green tea, forskolin, grapeseed, turmeric, ginger and cinnamon extracts. This dietary supplement could help support metabolism, suppress the appetite and decrease the accumulation of fats. 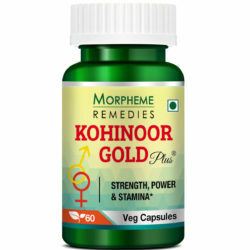 Morpheme Remedies is a brand known for its effective products. Dietary supplements are well researched upon and presented to the consumers for a beneficial and healthy experience. All the supplements are healthy, safe and efficacious. 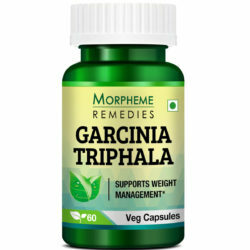 The Morpheme Remedies Garcinia 9X is a supplement that has been specially created for those wanting to manage their weight in the safest and side effect free way. Often people take to fad diets or extremely rigorous exercise routines which do more harm than good. For any supplement to show excellent results it is important that it should be accompanied by a healthy lifestyle. The Morpheme Remedies Garcinia9X is a healthy blend of plant extracts which not just aid in weight management but they also contribute to the betterment of your health. Each of the ingredients in the product is known to work as a natural appetite suppressant and assists in reducing the unwanted body fats. When combined with the right diet and exercises, this supplement helps support healthy weight management. The ingredients of Morpheme Remedies Garcinia 9X is an impressive list with each ingredient contributing to and boosting the goodness of the product. The rind of the fruit is known to contain high amounts of hydroxycitric acid (HCA) which helps in inhibiting an enzyme that plays an important role in fat synthesis. HCA is also known to increase satiety that makes you feel full fast . Coffee beans contain compounds known as chlorogenic acids. 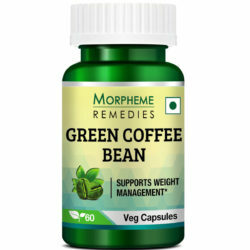 These are responsible for the weight loss properties of Green Coffee Beans . Green Tea contains active ingredients like catechins which help in boosting metabolism . Forskolin supports syntheses of enzymes that help free fatty acids from the body’s cells. These free fatty acids can be burned as fuel which helps in weight loss . Studies suggest that ingestion of grape seed extract could help decrease the appetite . Turmeric is one of the most beneficial spices. 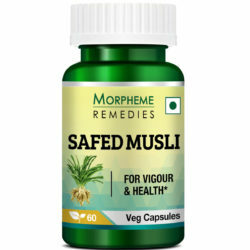 It is known to suppress fat tissue growth and helps combat obesity-related swelling . A few researches have shown that ginger is extremely beneficial in modulating the weight. It can absorb the intestinal fat and control the appetite as well . Cinnamon acts on the enzymes which slow down the digestion of carbohydrates. This keeps us feeling full for a longer time . This is a good supplement for weight loss. By combining multiple natural products, it helped in providing the additional boost I needed to lose weight. This is an amazing weight management product. It not only helps in weight manage but improves overall health. It supports weight management. I feel less hungry and more energized after taking this product. A good product for controlling appetite and managing fats. I feel more energetic, probably an effect of healthy weight management and normal metabolism. A useful supplement for healthy weight management. It helped in reducing excess hunger. A good energy booster. A powerful supplement for faster weight management. I am taking it for a month and satisfied with the result. It has given me energy, suppressed hunger and is supporting faster weight manage. I found this product effective in suppressing appetite and promoting fat loss. It has been good for my health, helped overcome fatigue. This is pretty powerful weight management supplement. It works quite fast. It has helped in curbing hunger, and accelerated fat burning. It has helped in curbing hunger and breaking down fats. I eat a low calorie diet and exercise daily. This supplement made these easy for me. 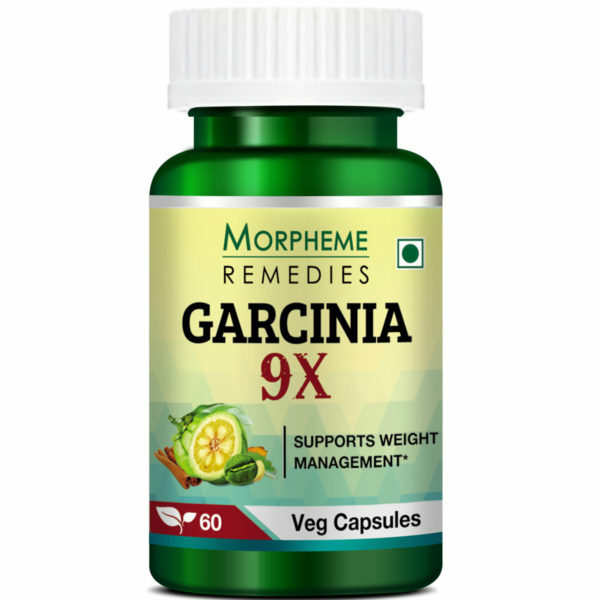 Garcinia 9x is a very good product for weight management. It has helped me in getting rid of my overeating habit. It has been good for my mood, satiety, digestion and metabolism. This supplement is helping in breaking down my body fats. It has given me energy and helped in putting a brake on appetite. This supplement supports faster weight loss. It has helped in suppressing appetite and boosting fat loss. A side effect free product that eases the weight loss process. Garcinia 9X is a good supplement. It has helped in controlling my appetite, improved fat burning and increased energy level. The additional help I needed to lose weight fast was provided by this product. It helped in suppressing appetite, improved energy production and metabolism. This is an effective weight loss supplement. I feel less hungry and feel full fast. It has been good for my metabolism. It is a good fat burner. Garcinia 9X is a wonderful supplement for healthy weight loss. It is an excellent appetite suppressant. It helped in burning fats fast. I am taking it for the last 4 months and am close to my ideal body weight. I found this product effective in speeding up weight loss. It has helped in putting a brake on appetite. My energy level is higher and I can exercise longer. Garcinia 9X is a combination of ingredients that are known to help in weight loss. I am on this product for 4 weeks. It helped in putting a brake on appetite and restored normal eating habit. Weight loss has become faster by taking this product. This supplement has helped in suppressing my cravings. It has been good for my gut health and is helping in breaking down the belly fats. This supplement has helped me in eating less. It is a safe product. It also seems to have bolstered my metabolism. This product has helped me in various ways. It helped suppress appetite without side effect. It has been good for my digestion. I feel energized and can do workouts. For over 3 months I’m taking this product. It has been good for my appetite. It helped increase satiety and reduced cravings. It is helping in getting rid of the excess fats. I can exercise longer. This is a powerful product. It helped in reducing cravings for sweets and unhealthy foods. After taking this supplement, I am feeling energetic. I can exercise longer. This is a good supplement for burning the body fats. I’m taking this for 3 months and lost about 14 kilos. It helped in boosting metabolism, increased my energy and exercising capacity. A good supplement. It helped increase satiety and reduced cravings. It has been good for my digestion and metabolism. This product has helped in suppressing appetite without causing any adverse reaction. My cravings and overeating urge have decreased. I feel healthy and my energy level has increased. This product is helping me in losing weight. It is a safe appetite suppressant…helped reduce cravings and overeating…feeling energetic. Taking this product for a while. It is a safe appetite suppressant…made it easy for me to stay on low calorie diet. I feel energized and can exercise longer. This product is a safe appetite suppressant. It helped reduce excess hunger. I am taking this for a month and feeling bit more energetic. It seems to be helping in burning fats. Garcinia 9X is a beneficial product. It helped me overcome unhealthy eating habit. I feel less hungry and am satisfied easily with small meals. My energy level is higher. It’s supporting healthy weight loss. I am quite satisfied with this product. It has been quite effective in suppressing appetite. I feel energetic. This is a safe product. This product is a combination of different plant extracts. The quality of the product is good as I started experiencing its appetite suppressing effect in a few days. 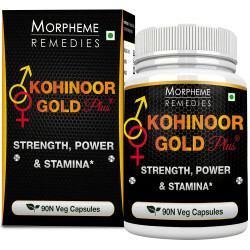 It is an effective metabolism and energy booster that is helping in boosting the effectiveness of my workout schedule. I am taking this supplement for a month. It has helped me in controlling my appetite. My cravings are less and my mood has improved. I feel energetic and can exercise longer. This product has helped in controlling appetite. After I started taking it, I feel energized. I can exercise longer and am burning fat and losing weight. This is a useful supplement for healthy weight loss. I’m taking this for 2 months. It helped put brake on my appetite. Now I eat less without feeling hungry or weak. It is working as a metabolism and energy booster. Overall experience is good. This product is a good appetite suppressant. It is helping me in eating less. Didn’t experience any adverse side effect. Instead I feel energized and happy. It seemed to have bolstered metabolism. This product is a blend of plant extracts. It has helped in curbing excess hunger and improved my health and energy. This product is helping me in faster weight loss. My sluggish metabolism has received a boost after taking this product. It also helped lessen cravings and excess hunger. Garcinia 9x is a helpful product for weight loss. I am feeling healthier and losing weight fast with the help of this product. It helped curb excess hunger. I can exercise longer and do not feel drained. I am taking Garcinia 9X for two months. It helped speed up weight loss. It is helping me in eating less and giving me the energy I need to exercise. This is a very useful product for controlling appetite and stimulating fat metabolism. It has helped keep me energized for workouts. This supplement helped in accelerating weight loss. Its been effective in suppressing excess hunger. It is also working as an energy booster. After I started taking this product I started losing weight at a faster speed. It has been effective in decreasing excess hunger. I eat less yet feel energetic and can exercise longer. Helping in weight loss. I feel less hungry. Feel bit more energetic for workouts. After I started taking this product, I feel less hungry. It is good for managing calorie intake that is helping in weight loss. It seemed to have helped in increasing energy. Garcinia 9X is a wonderful product for weight loss. It helps support the bodily processes that accelerate fat burning. It has been effective in suppressing appetite and cravings. Its positive effect on metabolism is helping me getting rid of the excess fats. I also feel energized for workouts. I’m losing weight rapidly with the aid of this product. Now I feel full fast and cravings have decreased. Exercise fatigue has also lessened. It helps in controlling appetite. I found this product useful in reducing cravings. It’s positive effect on metabolism is helping in breaking down fats and boosting energy. I feel energized for my daily workouts. This product helps in curbing appetite. It’s a good energy booster. After taking it, I feel less less tired during workouts that is helping me in burning fats fast by exercising longer. This product combines garcinia with a number of other natural ingredients. I found this a high quality product as I started noticing its effect within a few days. It helped in suppressing excess hunger. I feel energized. This is good for healthy weight loss. I’ve benefited a lot by taking this product. It helped suppress appetite that is helping me in following a calorie restrictive diet without feeling hungry or tired. It is also a good metabolism and energy booster. This product is assisting in reducing my body weight. It helped reduce the frequent cravings for unhealthy foods. I eat less and it doesn’t affect my energy level. I feel healthier and energetic. I needed a product that would help me in dieting and weight loss, so I selected Garcinia 9X. I’m satisfied with the result. It helped suppress excess hunger and worked as a good energy booster. By suppressing appetite, this product made dieting easy. I feel happy and my energy level is higher. This is helping in curbing appetite. Energy level has increased. With daily workouts I am losing weight at a faster pace. With garcinia and other natural ingredients combined in this product, it helps ease weight loss. It helped curb excess hunger. Energy level is higher. 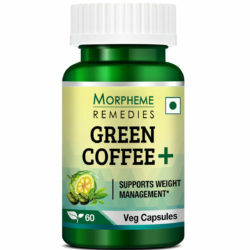 This product is helping in weight loss by suppressing hunger and increasing energy level. Dieting and exercising are now easier for me. This product provided the extra boost I needed to meet my weight loss goal. 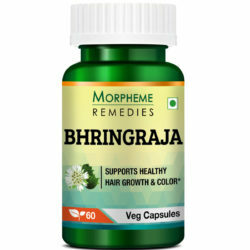 It helps in controlling appetite without any adverse effect. Good for mood and metabolism. With the help of this product, I’m losing weight with ease. It is an effective appetite suppressant that is helping me eat less. I feel energized for workouts and am burning fats. Losing weight was very difficult for me. To overcome the problems I started taking this product. It helped in reducing appetite that helped reduce hunger. It helped in boosting energy level. I feel healthy and my exercising capacity has increased. I found this product good for reducing hunger and food cravings. My energy level is higher. It supports faster weight loss with diet and exercise. This is a safe appetite suppressant. Seems to be a good metabolism booster. This supplement helps in boosting energy and reducing hunger. Eases weight loss with diet and workout. This is really effective in suppressing hunger. It made dieting easier. Good metabolism booster. My energy level has increased. Controlling hunger was not easy for me. However, after I started taking this product I fill full fast. It helped suppress appetite without causing any adverse reaction. It is a good energy booster. A useful supplement for healthy weight loss. Recently I included this supplement in my weight loss regimen. It seems to be helping in reducing hunger. I feel slightly more energetic for exercises. This supplement seems to have helped in speeding up weight loss. It is an effective appetite suppressant. Helped reduce cravings. Helped elevate energy level. Appears to be a good fat burner. Garcinia 9x helps in suppressing appetite. It has worked for me. It is safe. I also feel energetic after taking it. I am taking this supplement to control appetite. It started working in a short time. It is effective in curbing cravings. This is an effective product for controlling appetite. Good for general health and increases energy. With garcinia and other plant extracts combined together in this supplement, I found this quite effective in suppressing appetite and increasing metabolism and energy. With the help of this product, I can easily eat less without feeling hungry and can exercise without feeling exhausted in a short time. This product gives me energy and helped suppress excess hunger. It is an essential product for healthy weight loss with diet and exercise. This product eased weight loss. It is working as an appetite suppressant making me feel full fast. I’m feeling energetic. Burning fats and losing weight at a faster speed after combining this product with exercise. This is good for reducing overeating. I feel more energetic. It is helping me in losing weight fast by exercising and dieting. This seems to reduce excess hunger. I feel a little more energetic. I found this a helpful product for reducing excess hunger and overeating. It appears to be a good energy booster. It helps in managing weight and increasing exercising capacity. I’m taking this supplement for several months for weight management. I found it to be effective in controlling appetite and suppressing overeating. Helped in boosting energy level and good for maintaining general health. 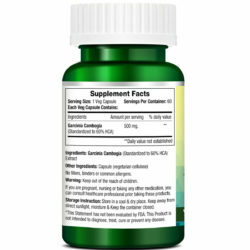 This supplement helped boost the effectiveness of my weight loss diet and exercise. It is helping me in eating less by curbing hunger. It is also working as a good energy booster. This supplement helps in weight loss by reducing appetite. There was no side effect. I feel energetic and healthy. Take 1 capsule, 1-2 times a day before meals for optimum result.